My ARPS panel layout is shown below. Please click on the layout to view the individual images. In my panel I want to show the abstract beauty to be found in eroded sandstone. 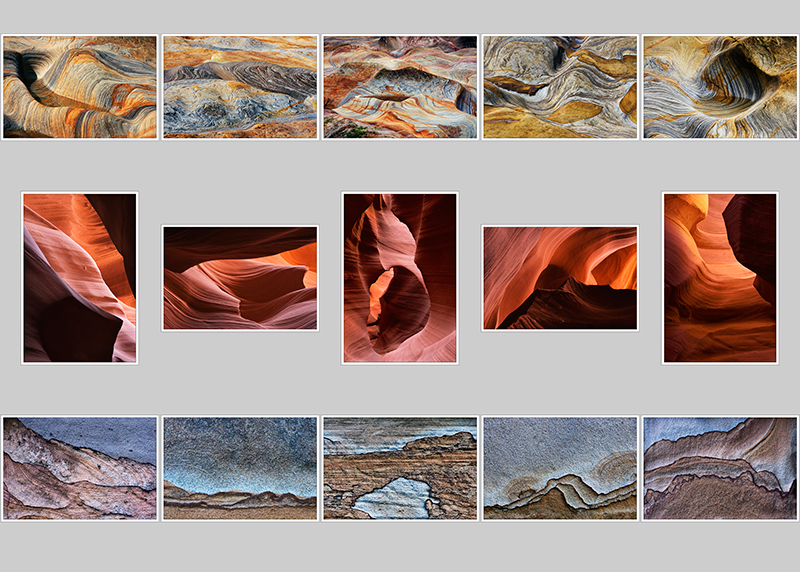 I have covered a wide range of scale starting with the wave worn rocks on a beach and then moving upwards to the architectural shapes in a slot canyon, and downwards to the weathered patterns in sandstone blocks in an old wall. I aim to show that beautiful images are formed in sandstone over a very wide range of scale, although I have left out obvious indicators of size to emphasise the abstract nature of the images.